wishing everyone a dreamy weekend! That is the sweetest photo. Lovely! Ah, such is the life of a summertime girl. lovely photo, mouse! Made my morning smile! 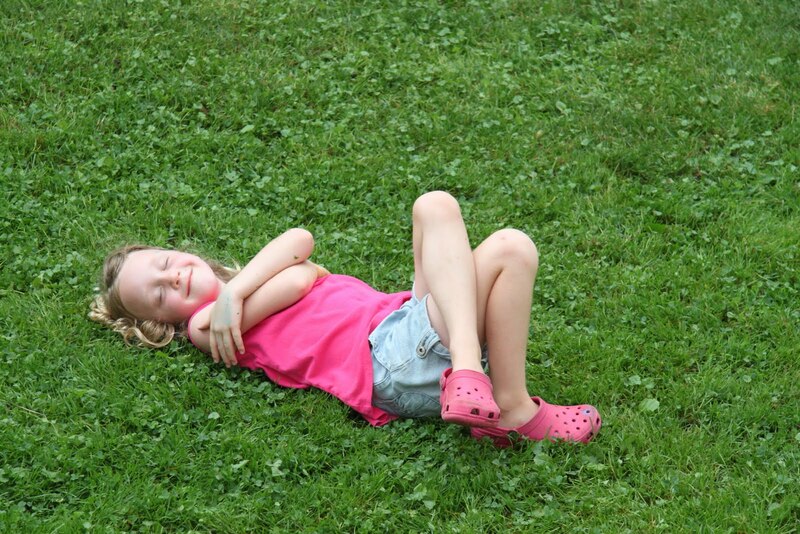 Ah...makes we want to lay in the grass and look at clouds! Is it cooler up there? So much nicer with the humidity gone!